Dental implants are changing the way people live, especially those suffering from tooth damage due to facial trauma. They are designed to provide a foundation for replacement teeth that look, feel, and function like natural teeth. The person who has lost teeth regains the ability to eat virtually anything. Not only that, but they can eat anything with the assurance that their teeth appear natural and that their facial contours will be preserved. Patients with dental implants can smile with confidence! The implants themselves are tiny titanium posts that are surgically placed into the jawbone where teeth are missing. These metal anchors act as tooth root substitutes. The bone bonds with the titanium, creating a strong foundation for artificial teeth. Small posts that protrude through the gums are then attached to the implant. These posts provide stable anchors for artificial replacement teeth. Implants also help preserve facial structure, preventing bone deterioration that occurs when teeth are missing. Once you learn about dental implants, you will finally realize there is a way to improve your smile and overall quality of life. When you lose several teeth – whether it’s due to a new situation or something you have lived with for many years – chances are you have never become fully accustomed to losing such a vital part of yourself. And your self-esteem may suffer. A Swedish scientist and orthopedic surgeon, Dr. Per-Ingvar Branemark, developed this concept for oral rehabilitation more than 40 years ago. Dr. Branemark – with his pioneering research – opened the door to a lifetime of renewed comfort and self-confidence for millions of individuals. Individuals that were previously facing the frustration and embarrassment of tooth loss on a daily basis. In the traditional method, the placement of dental implants involves two surgical procedures, phases, or stages also commonly referred to as Stage I Surgery and Stage II Surgery. At Stage I Surgery, implants are placed within your jawbone. For the first two to four months following surgery, the implants are beneath the surface of the gums within the bone gradually healing with the jawbone. The growth of bone into the surface of the titanium implant is called Osseointegration and this is what makes the implant functionally stable long term. You should be able to wear temporary dentures over these sites and eat a soft diet during the initial few weeks and then return to a normal diet thereafter. After the implant has bonded to the jawbone, the second phase or the Stage II Surgery is performed. In this stage, Dr. Chun will uncover the implants and attach small cylindrical posts or custom made anatomic-shaped posts called healing abutments to the foundation. These abutments protrude through the gums and allow them to heal in order to begin to generate the anatomic emergence through the gums for the final crown. When the tissue and implants are determined to be healed, you will be advised after that appointment to make the appointment with the restorative doctor to fabricate the final implant abutment and crown. At this time, most commonly dental implants are placed in a single phase surgery also known as a Single Stage Procedure. In this procedure, the implant healing abutment is placed which is a small cylinder that attaches to the top of the implant and protrudes through the gingival tissue. This allows the soft tissue to heal for the crown emergence during the time that the bone is healing to the surface of the titanium implant, which is also called osseointegration. Once you receive verification that prerequisite conditions have been met, the implant is usually placed with minimal to no adjunctive procedures such as bone grafting or bony ridge manipulation. Usually, only minimal to no soft tissue grafting is needed around the implant site. When placed, the implant must also be deemed mechanically stable for the implant healing abutment to be attached. This will allow for this surgery to be deemed a Single Stage Procedure. Traditional bridges require the physical reduction of sound tooth structure on the adjacent teeth in order to obtain space for the ceramic and or metal to fabricate the coverage crowns for the bridge. 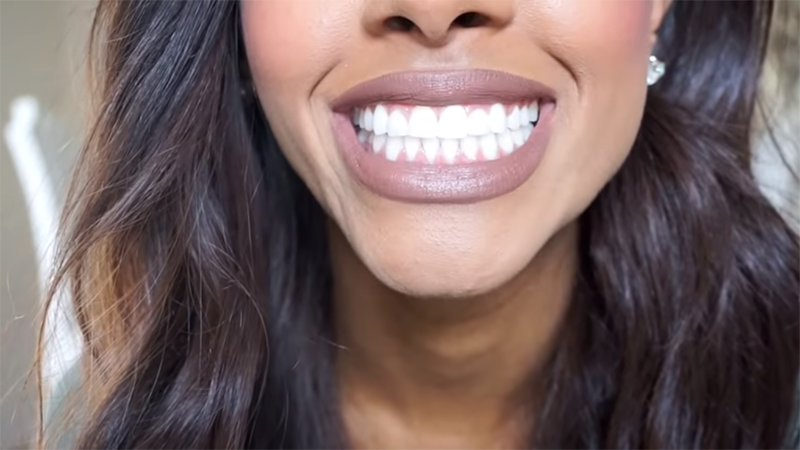 This not only removes the hard enamel coverage of your teeth, but also thins the remaining crown structure, creating a margin or seal interface that can leak in the future. Leading to decay and failure of the bridge! Dentures or Partials may be unstable and uncomfortable. On top of that, the may not allow efficient chewing of foods such as apples, meats, and corn on the cob. Partial dentures may be stable, but require grinding on the natural teeth for rests and guide planes, which can sometimes require crowning of adjacent teeth to form these rests and guide planes. Retention clasps will then be placed on your natural teeth which add more stress and pressure to the teeth, as well as occasionally being visible in the anesthetic area of your mouth. In addition, removing a denture or a “partial” at night may be inconvenient. Not to mention that dentures which are not retentive can slip and be uncomfortable and rather embarrassing if it occurs in public. Using the most recent advances in dental implant technology, and with the ideal conditions based on your clinical and radiographic examination, Dr. Chun is able to place implants at the same time as the tooth extraction. Termed Immediate Placement, under a delayed load protocol in which a temporary crown-shaped implant tooth is placed 6 to 8 weeks after implant placement. In rare instances, with immediate load protocol, temporary implant crowns are placed on the implants the same day as the implant is placed. Individuals will experience different circumstances, so each patient will be carefully evaluated for the optimal conditions for implant success. The ideal treatment plan will be developed in order for the patient’s implant to have the greatest success with the best aesthetic and functional outcome. Dental Implant placement is a team effort between an oral and maxillofacial surgeon and a restorative dentist. While Dr. Chun performs the actual implant surgery of initial tooth extractions and bone tissue grafting if necessary, the restorative dentist (your dentist) fits and makes the permanent prosthesis. Your dentist will also make the provisional (temporary) prosthesis needed during the implant process, unless it is a custom temporary crown that is necessary for your specific situation. Single Prosthesis (crown) – Replaces one missing tooth. Each prosthetic tooth attaches to its own implant. Partial Prosthesis (fixed bridge) – Replaces two or more teeth and may require only two to three implants. Complete Dental Prosthesis (fixed bridge) – Replaces all the teeth in your upper or lower jaw. The number of implants varies depending upon which type of complete prosthesis (removable or fixed) is recommended. Removable Prosthesis (over denture) – Attaches to a bar or ball-in-socket attachment, whereas a fixed prosthesis is permanent and removable only by the dentist. Dr. Chun performs in-office implant surgery in an operating suite, thus optimizing the level of sterility. Inpatient hospital implant surgery is for patients who have special medical or anesthetic needs or for those who need extensive bone grafting from the jaw, hip or tibia. When Will Dental Implants Be Placed? Implants are designed to replace missing teeth and therefore can either be placed at the time of extraction (termed Immediate Placement) or at a later time after extraction – usually 3 months or longer after the tooth has been extracted. This is called Delayed Placement. In most cases, implants are placed in a delayed placement scenario because most restored implant teeth have been missing for many months to years after extraction. Often times, there are previously existing non-optimal conditions at the time of extraction for immediate placement of an implant. Usually, this is due to active an infection being present which causes loss of bone walls from the extraction site due to the infection creating a horizontal or vertical bone-volume deficiency. In addition, there is often inadequate vertical volume of bone available. This is due to close proximity of the sinus floor or nerve structures. For implants to be placed successfully, all infections must clear and the jaw bone ridges must be restored to have adequate vertical and horizontal dimensions with socket bone grafting and/ or sinus lift grafting. The majority of dental implants and bone graft can be performed in the office under local anesthesia, with or without general anesthesia. There are many options and at the consult, these will be discussed and the best option chosen to make your procedure safe and comfortable. Once the implants are in place, they will serve you well for many years if you take care of them and keep your mouth healthy. This means taking the time for good oral hygiene (brushing and flossing) and keeping regular appointments with your restorative dentist for routine hygiene care. It is also recommended that you follow a strict post-dental implant regiment to assure that you get the most out of your new teeth. There are many factors that contribute to the final cost of a dental procedure, many of which depend on your specific situation including state of oral health and the current state of your insurance. If you do not currently have dental insurance, then some financing opportunities may be available. We cover the costs in more detail on our “How much does a dental implant cost” post here. One of the core dichotomies of dentistry and life in general is that there are risks associated with both taking action and not taking action. In the case of not taking action, ignoring common warning signs of potentially serious conditions such as Impacted teeth or improperly structured wisdom teeth can lead to a mouth full of pain, discomfort, and an overall decreased quality of life. These same risks can also be found on the “taking action side of dentistry”, such as making the decision to follow through with dental implants. When it comes to dental implants, one of the most important things you can do for yourself is to choose a dentist that will take the time necessary to examine your individual condition. And see the implant process through the right way. 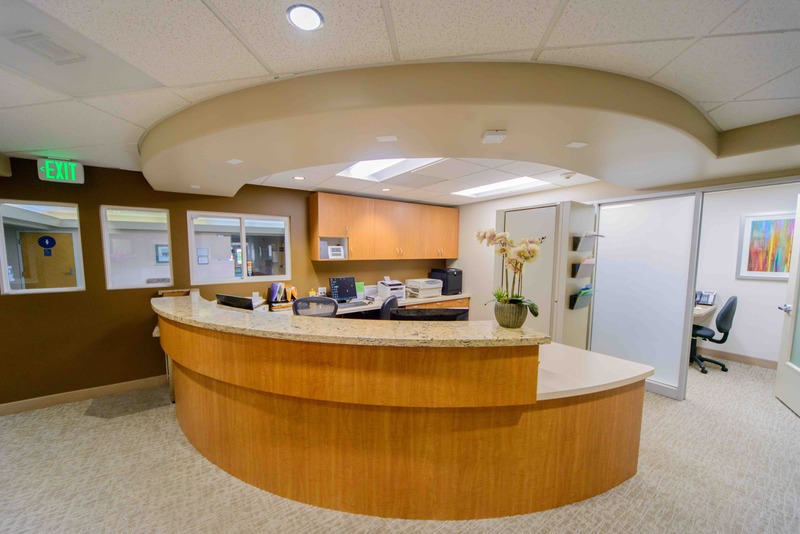 Dr. Chun gives each patient the individual attention and care that they deserve, and makes sure that each dental procedure is completed in a way that leaves the patient 100% satisfied and pain free. If you’d like to schedule an appointment with us, and take the first step in acquiring the smile you’ve always wanted, feel free to give us a call at (925) 833-8516. P.S If your thirst for dental implant information isn’t quite satisfied, you can find additional information on dental implants here.